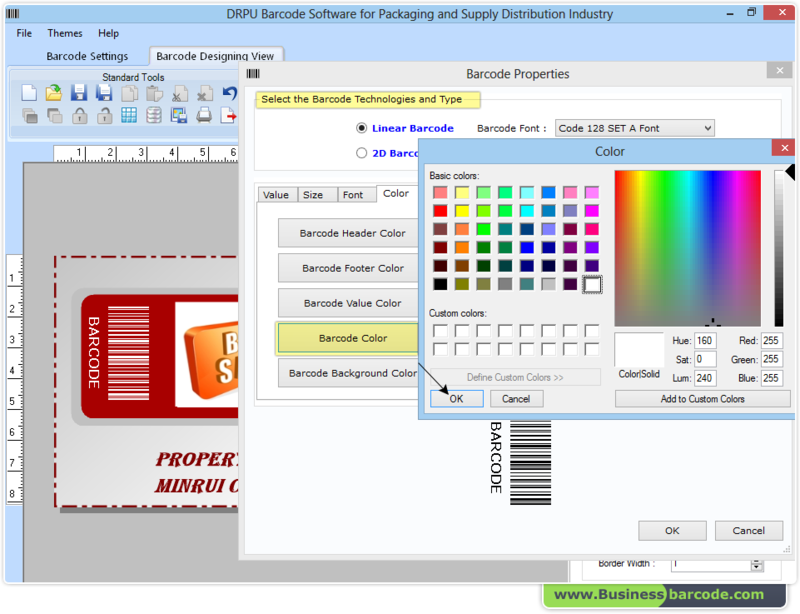 Using Barcode properties, set barcode font and different barcode value, header, footer color etc. 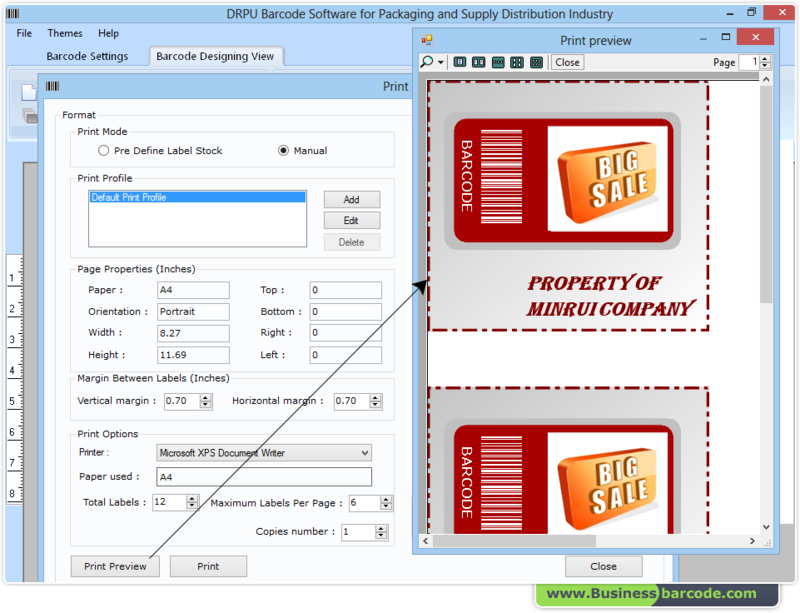 You can view print preview to check barcode labels before printing. 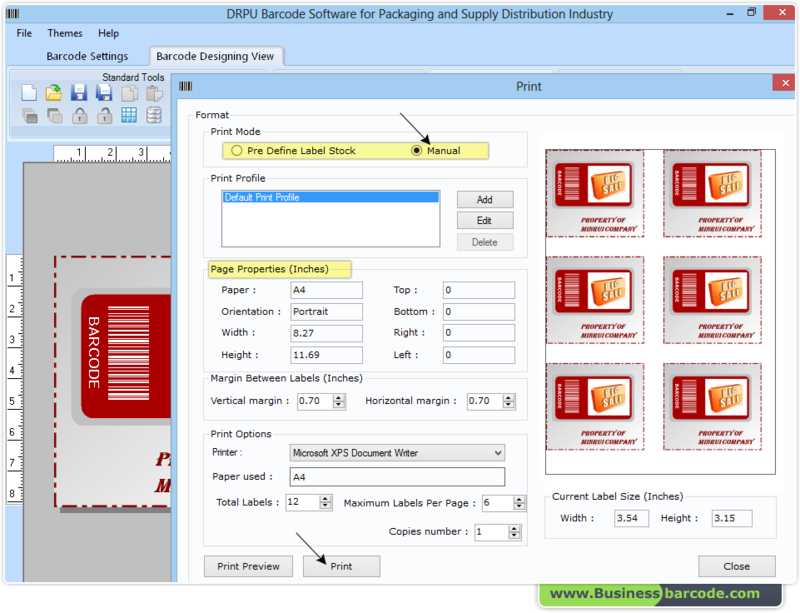 Now, click on Print button to print multiple packaging barcode labels accordingly.